"Photographs that simultaneously move you, make you think and make you laugh. How many photographers can do that? 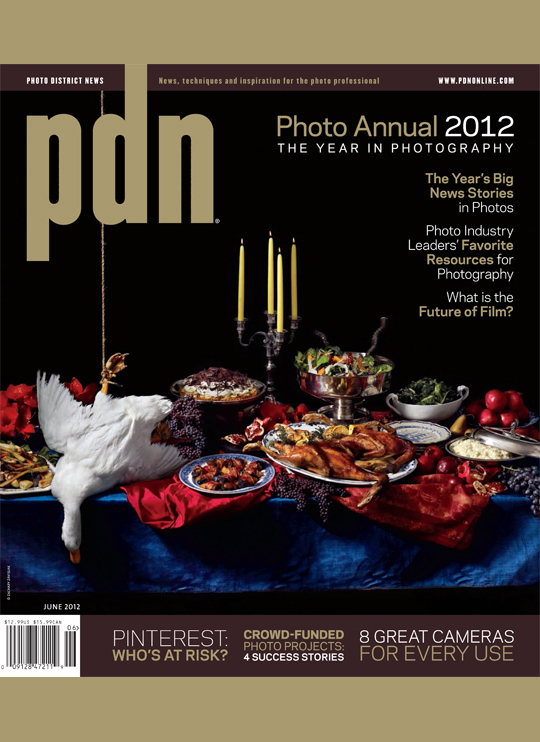 The answer is very, very few — and Mark Chester is one of them...."
“Thank you to all of the photographers who submitted work for the 2012 PDN Photo Annual. Congratulations to all of the photographers and creatives featured on the following pages. Every year we are amazed at the work we receive and it is an honor for us to reproduce the incredible work in this issue. The judges were faced with a difficult task in selecting this year’s winners." Mark Chester: The Bay State: A Multicultural Landscape. “His pictures belie an inner confidence in his perspective. They are simple yet brilliant, absent the artificial quality inherent in the work of artists who feel the need to impress or defend. "THE EXPLORATION OF HISTORY, the specifics of geography and atmosphere and the pull of travel are elements of Mark Chester's silver print 'Horse and Rider,' a highly layered and emotive photograph recently published in his new book Twosomes (Un-Gyve Press, Boston). Set atop and in foreground of an effective contrasting landscape, the image of a solitary cowboy and his horse projects a lonely slow experience. Here nostalgia speaks, memories are shifting and the objects of human life are slowly decaying. The visual focal point of Chester's image are the contrasting texture and hard lines of the abandoned building against the organic and smoky valley and mountain, with the additional layer of human figure in action in front of the building. Chester plays with the concept of "together, yet alone" in this work. Though [horse] and rider share mutual need, complementing each other, they are also individuals, and their distance marks the emotional condition of the image." "PHOTOGRAPHER MARK CHESTER'S SHARP EYE and mischievous sense of humor are the inspired pairing behind his new book, Twosomes (Un-Gyve). The unexpected juxtaposition of two images from different times and places produces a funny synergy. In Twosomes, five trees wrapped in sheets of burlap that look like scarves (2008) face a photo of five women bundled up in a snowstorm (1983). In another spread (at right), a woman in Guatemala carrying baskets on her head (1977) is juxtaposed with a woman in New York wearing a flower bonnet shaped like a guitar (1971). "IT WAS SERENDIPITY, not chance, that brought Mark Chester’s photographs together in perfect pairs. Chester, now a professional photographer, picked up a camera in 1968 when he was about to leave for the Kingdom of Tonga with the Peace Corps. Although he dropped out during training and never made it to Tonga, he kept his film Nikon F camera. 'When I was doing an exhibition, I would put all the framed images on the floor under the wall that they would go on and change them around. The idea that struck me [was] that they went together better as a pair rather than on the wall by itself,' he says. His new book, Twosomes, is a collection of these serendipitous matches, 101 pairs of clever, complementary photographs. Some are obvious, others are understated, but all are tinged with mischief and show a sense of humor. A shot of a logging train is paired with rolls of tissue paper in a restroom in a before-and-after twosome. A Speedo-clad man with his head stuck in a phone booth in Rio de Janeiro visually plays off a photo of a pig with his head stuffed in a pail in upstate New York. His twosomes of people are especially powerful. In one pairing, two pipe-smoking men in a boat in western Sweden find a twin in a leathery-skinned tribal woman enjoying a pipe in the Philippines. What Chester hopes viewers will take away from the book is, of course, a second glance, he says. 'I just hope that people look at it again.'" "LOCAL'S 40 YEARS OF PHOTOGRAPHY to Begin International Book Tour." "IT’S RARE TO CATCH Woods Hole’s Mark Chester without a camera. Over the span of almost 40 years, Chester has learned that it’s often best to shoot first and ask questions later, and that the best photos often come when they’re least expected. Every once in a while, they come in pairs. Chester, whose photographs appear in the permanent collections of museums throughout the country, has put together an intriguing collection of black-and-white images that spans his career, pairing outstanding pictures united by common themes and subject matter. Twosomes, Chester’s newest book of photography, is available June 2 from The Un-Gyve Limited Group. An exhibit of the book’s images goes on display at the Cape Cod Museum of Art in Dennis on June 18, preceded by a special reception and book signing at Addison Art Gallery in Orleans on June 17. Chester’s work is often whimsical, often touches his audiences in contrasting ways, and always demonstrates a talent that could only be gained through many decades spent behind a lens. In the living room of his Woods Hole home, Chester shuffles pages of proofs from the book across a coffee table. Many of the same images hang framed and matted in rows on the high walls around him. Chester—dressed in a plaid shirt and jeans, glasses perched on his nose—explains the origins of each photo and, in the process, traces the trajectory of his career. As a kid in Springfield, Massachusetts, Chester took his first pictures with a Kodak Brownie camera. He didn’t get serious about photography until he joined the Peace Corps as a trainee in 1967 and bought professional camera set-up for his looming travels, which ultimately fell through. But he kept practicing his craft and studied the images in Life magazine, National Geographic, and the Saturday Evening Post. He developed an affinity for the photography of Henri Cartier-Bresson, Gordon Parks, Ken Heyman, and Walker Evans among others. 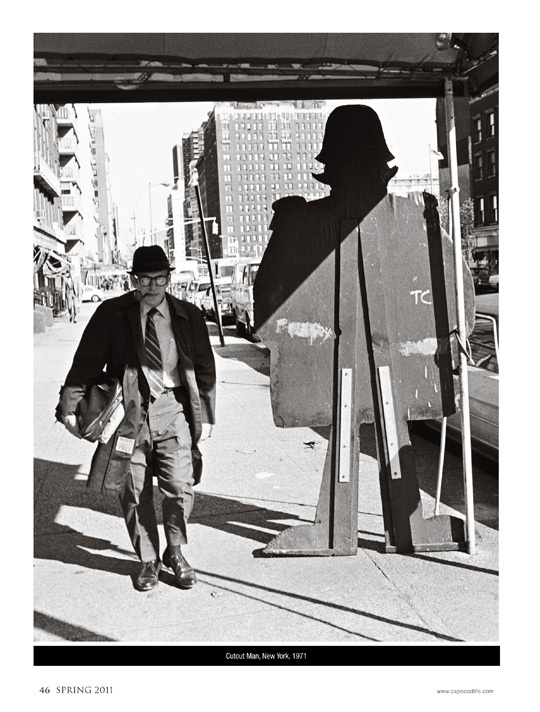 And like these kindred spirits, Chester had no ambitions of staying cooped up inside a studio: he was solely interested in photojournalistic street photography. In 1972, after a stint as Director of Photography for the American Society of Composers, Authors, and Publishers in New York City, Chester spent the rest of his career as a freelancer for wire services, trade publications, PR agencies, and countless other outlets. He has often put words to his pictures as well, penning travel stories for The Boston Globe, the Los Angeles Times, the San Francisco Chronicle, and other publications. He parlayed a 1978 cross-country trip into a gig photographing Dateline America, a book of essays by the late CBS newscaster Charles Kuralt. In the ensuing years, he continued to photograph and document his travels, culminating in books and other projects like the “Shanghai: In Black and White” exhibition. After settling in Woods Hole in 2002, Chester began teaching courses related to photography at Lesley University and Cape Cod Community College among other places. He is teaching a course at Falmouth Academy this summer. With occasional exceptions, the tools of Chester’s trade are simple: a Nikon F camera, a Canon S90 pocket digital camera, a 20-milimeter lens, and loads of black-and-white film. His expert command of composition is a compelling contrast to the lighthearted subject matter he typically conveys in his work. His reasoning is simple: 'Why not take pictures of things that make you smile?' he asks. TWOSOMES is Chester’s first book in 25 years. The concept was an outgrowth of “Twosomes and Then Some,” a series of low-key shows Chester held in venues in Denver and San Francisco, where he lived before moving to the Cape. He noticed a pattern: Even though they might have been captured independently of another with several decades between them, certain photographs seemed to have a natural counterpart elsewhere in his portfolio. Some of the connections were easy to draw, like the coupling of a man talking on a pay phone, his head buried under a hood, juxtaposed against a pig burrowing his head into a pail. Some are more ethereal. Ultimately, all of the 104 pairings in the book are inseparable. Giaquinto selected 24 pairings for the museum’s Twosomes exhibit. Each image pairing is presented as a diptych of two photos secured in a single frame: Viewers see Al Sharpton’s visage broadcast on a giant screen from the 2004 Democratic National Convention alongside a street performer in New York’s Battery Park framing his head with the façade of a television. The images are usually quirky, but they can also be poignant, touching, or thought-provoking depending on the eye of the beholder, Chester says. Chester noticed the man while shooting a Frank Sinatra concert on Long Island in 1974 for a wire service. 'Had I not turned around to see this guy,' Chester says, 'I would have missed him.' He licensed the image to a postcard publisher many years later. Some of the man’s children happened upon the postcard, and sought out a print from Chester to remember their father after his passing. It was a scene captured in an instant that resonated for years after, and it was a scene that reflected one of Chester’s cardinal philosophies of photography. 'You take a photograph not because you know where to put it,' he says. 'You take it because it’s that moment.' Sometimes, those moments come in pairs. Twosomes is an 11-by-13 hardcover book, totaling 218 pages with 202 plates. The book retails for $75. For more information, contact The Un-Gyve Limited Group at 617-350-7884, www.un-gyve.com, or log on to www.markchesterphotography.com." "IF YOU'RE NOT SUPPOSED TO DO SOMETHING, chances are there's a sign telling you not to do it...."
"TWENTY YEARS AFTER Mark Chester's first photo exhibition in a New Jersey Playhouse, he still considers himself a new-comer in the fine art field ...."
"WHEN MARK CHESTER WAS A HIGH SCHOOLER hanging out after classes at a pizza joint in Massachusetts 25 years ago, he spotted a sign one day, mispelled and taped above the jukebox. The message: 'NO DANCEING'...."